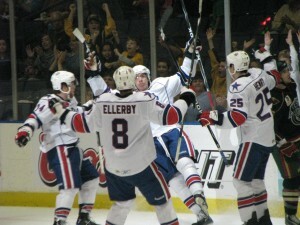 Amerks Picked up the Towel, Win 3-2 · Let's Go Amerks! 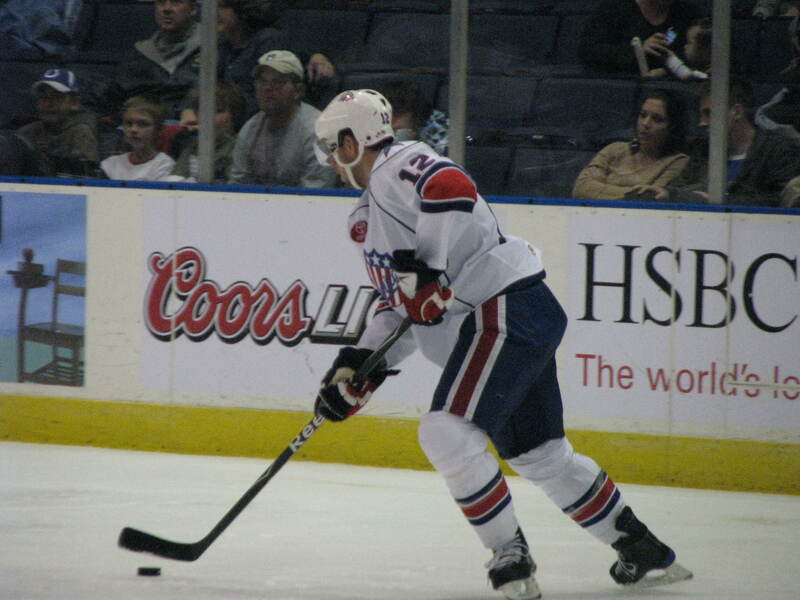 The Rochester Americans won only their second game of the season tonight beating the Houston Aeros by the final score of 3-2. The combined five goals were all scored in the third period. The Amerks had a three goal lead with less than three minutes remaining in the game. It got close towards the end, but they held on. The team did everything they were supposed to tonight. Big saves from goaltender Chris Beckford-Tseu. A solid defensive game. A hard hitting game. Also a very responsible game when it came to penalties. All three goals were scored by those expected to score goals. Stefan Meyer scored his first of the season. Kenndal McArdle scored his third of the season. Rookie Shawn Matthias also scored his third of the season, and second in two nights. He went fast into the Aeros end and continued through to the net until the puck was in the net. After apparently throwing in the towel on Friday night, it was picked up after all of the church groups left the arena sometime after midnight on Friday. It was an exciting game of hockey. Feels awesome to say that!! It was also a perfect night for the team to play like that in front of a Saturday night crowd of people who don’t seem to go to games regularly. Riley Emmerson also got a lot more ice time and continues to improve nightly. He’s getting scoring chances, along with hitting bodies like he’s expected. Keeping it short and sweet. The team found themselves and won the game.